Vessels by BrianJ, PapyrefDownloads 151 The counter was reset in 2013 when the web site was moved. Before that the counters showed 1668 hits for this addons. 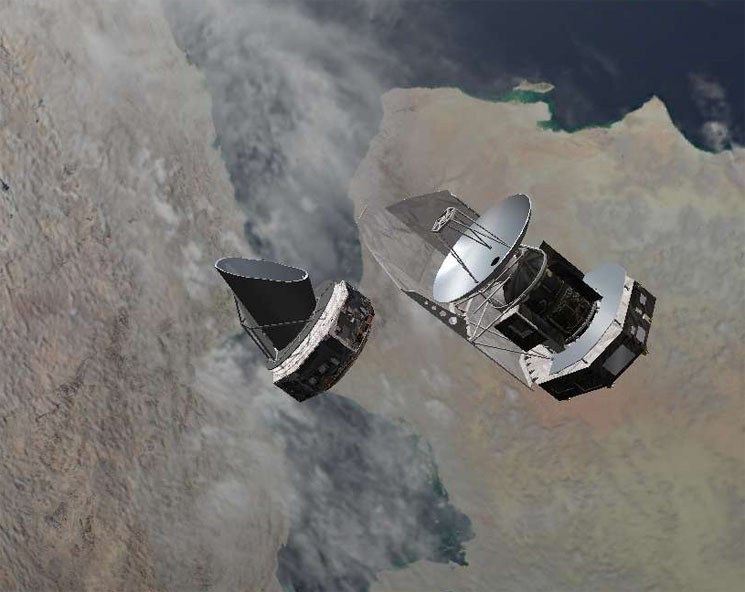 ESA's two flagship astrophysics missions. Herschel: the largest infrared telescope ever flown in space. Planck: mapping the Cosmic microwave Background in greater detail than any previous mission. 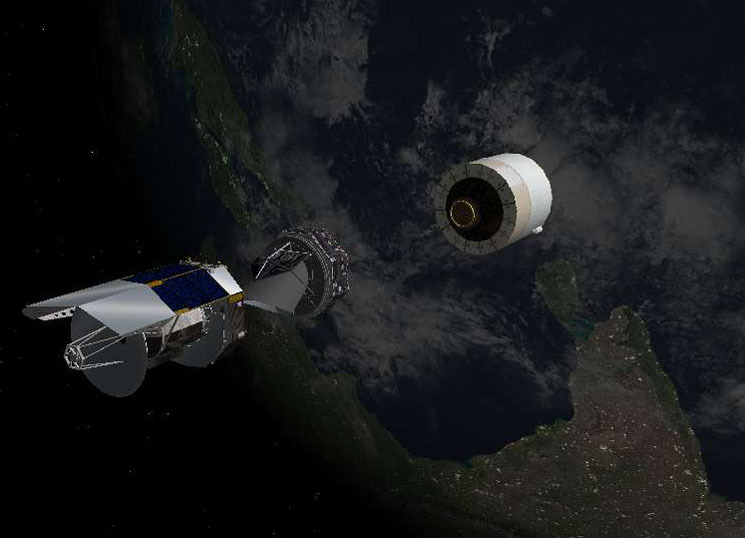 The two spacecraft will be launched on the same Ariane5ECA launcher into lissajous (halo) orbits around the Earth-Sun L2 point. 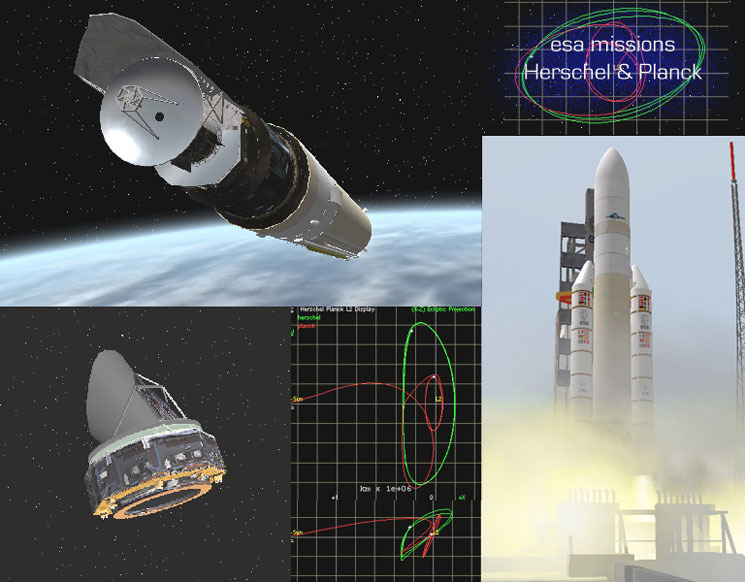 Add-on includes Herschel and Planck spacecraft, launch and on-orbit scenarios, flight notes in English and French. Also includes HerschelPlanckMFD for viewing orbits around the L2 point in a rotating frame.